Yesterday Mackerel ran a booth for business day at the Tokyo Game Show. A big thanks to all the people that stopped by! The exhibit will be held on 9/15 (Thursday) and 9/16 (Friday), Business day only. 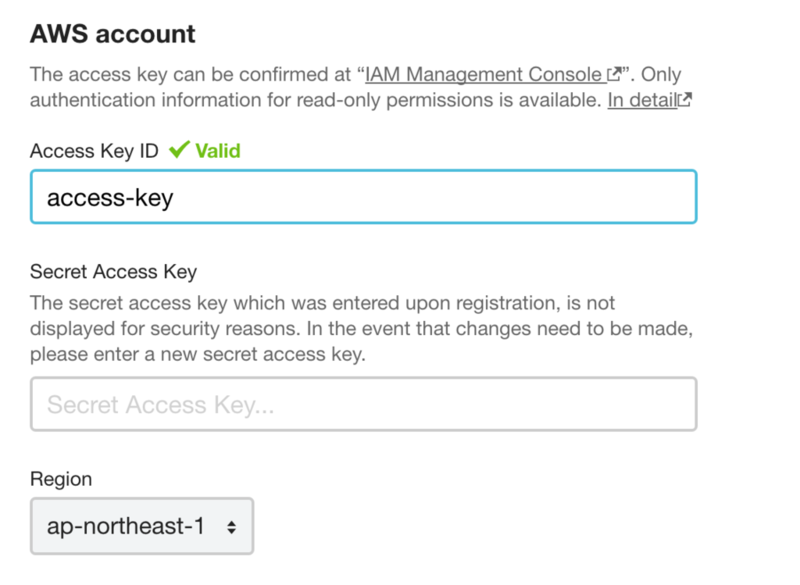 Until now, in order to change an existing access key in AWS Integration, you had to delete the configuration and re-create a new one. With this update, you can now change the access key as well when editing. Tomorrow (the 17th), Mackerel will be running a booth for Day 2 of the Open Cloud Innovation Festa 2016. Sugiyama, the producer of Mackerel’s development team, is scheduled to take the stage from 3p.m. For those of you in the area, by all means, stop on by!